Ian Waldie/Getty ImagesA man uses an iris recognition scanner during the Biometrics 2004 exhibition and conference October 14, 2004 in London. It seems as if every premium smartphone – and even many of the not-so-premium ones – have some form of security feature that uses a body part as a form of authentication. 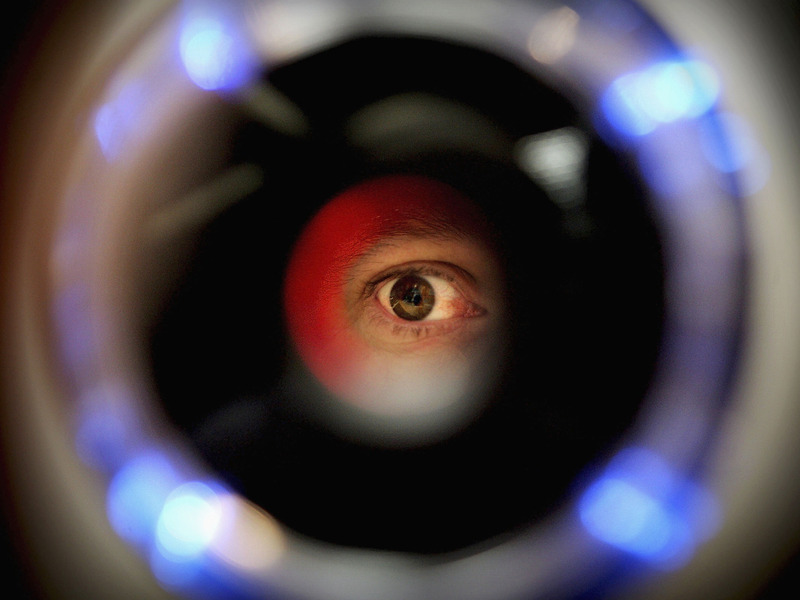 Many phones will scan your fingerprints, or even your face. These features, known as “biometrics,” have become a staple on mobile devices, as they serve a number of different functions. Megan Rose Dickey/Business InsiderThe iPhone 5s was one of the first mainstream devices to feature a fingerprint scanner. In 2013, when Apple introduced the iPhone 5S, the first major smartphone to feature a fingerprint scanner, it seemed like something out of science fiction. 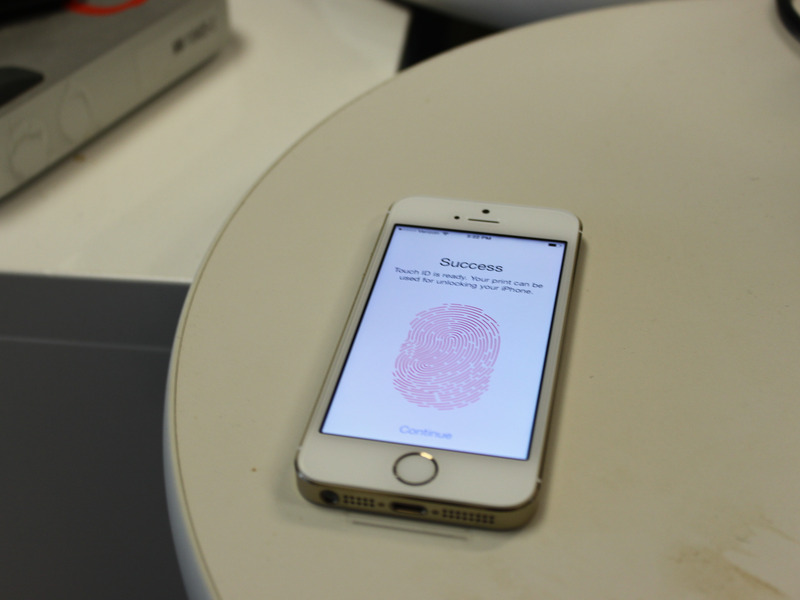 Users could register their fingerprints to the iPhone to unlock the device. Later, they would be able to do things like authenticate their identity before processing a payment with Apple’s mobile-payment service, Apple Pay. Since the release of the iPhone 5S, a number of smartphone manufacturers have followed suit by introducing their own devices with fingerprint scanners. In 2017 alone, the number of smartphones featuring fingerprint scanners was staggering: To name just a few, fingerprint scanners were in Apple’s iPhone 8 and 8 Plus, Samsung’s Galaxy S8 and Galaxy Note 8, LG’s G6 and V30, Huawei’s Mate 10, Google’s Pixel 2 and Pixel 2 XL, OnePlus’s 5 and 5T, the Essential Phone, and HTC’s U11. 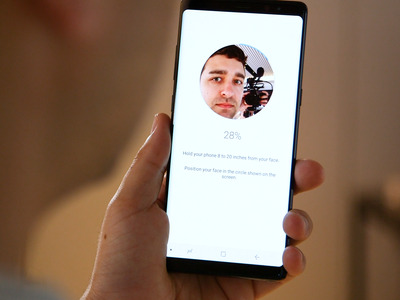 Corey Protin/Business InsiderFacial recognition set up on the Samsung Galaxy Note 8. Samsung’s Galaxy S8 was one of the first flagship devices to feature facial recognition, but Google also released a smartphone with the feature back in 2011, which was also a Samsung-made device: the Galaxy Nexus. At that time, Face Unlock, as it was branded, was seen as too gimmicky and not particularly easy to use. Google’s Nexus line was also not well known outside of the Android purist community, adding to its obscurity. The Galaxy S8 helped popularise facial recognition as a way to unlock your phone, but Apple went all-in on facial recognition with its high-end iPhone X, the first iPhone without a home button, and the first one to ditch Touch ID for Apple’s new unlocking method, Face ID. After registering your face on an iPhone X, the user can simply hold a device up to their face and get instant access to their home screen, or pay for goods via Apple Pay. Fionna AgomuohThis Galaxy S8 handset has facial recognition, fingerprint and irises registered as biometric options. 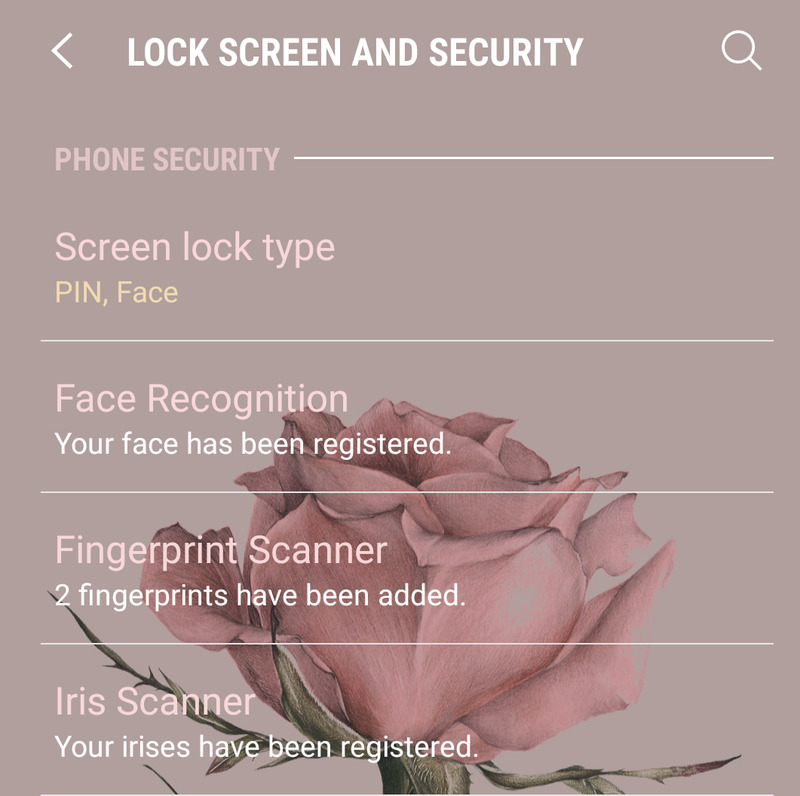 Still, many Android devices host several biometric security options; what’s more, users can register several different options at once, or have set them to different functions. 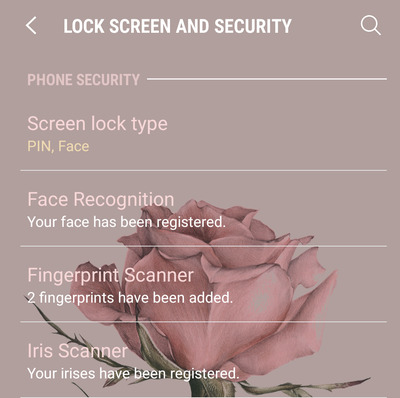 For example, a user can set facial recognition to unlock a device, but use fingerprint scanning to authenticate purchases. Iris scanning is much more common on smartphones than many consumers may realise, primarily because the feature has been included on many obscure devices and some released overseas. Some of the first smartphones to feature iris scanning include the Fujitsu NX F-04G and the Microsoft Lumia 950, both which released in 2015. Samsung also introduced the feature on its ill-fated Galaxy Note 7 back in 2016, and later on the Galaxy S8 and Galaxy Note 8 in 2017. 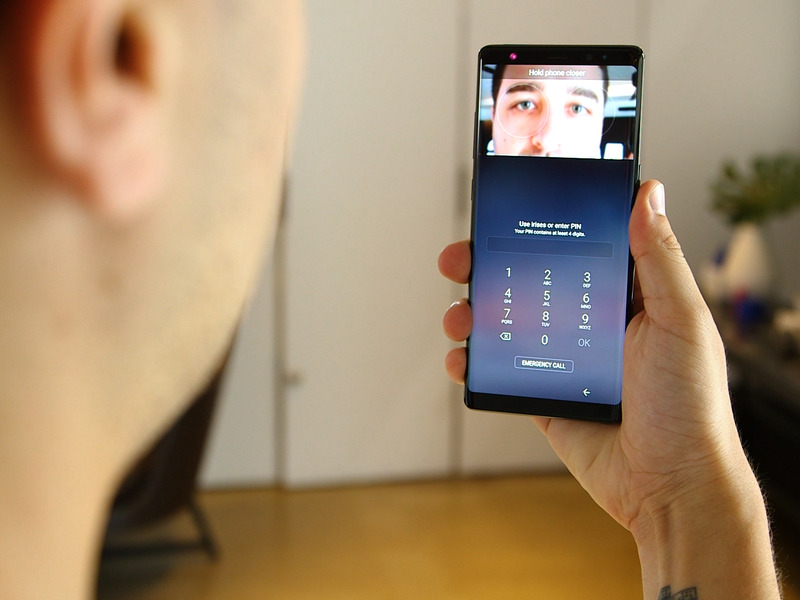 Antonio Villas-Boas/Business InsiderThe LG V30 is one of few devices to include voice recognition as a unlock feature. It is interesting that voice recognition as a biometrics option isn’t widely available at a time when several big brands like Apple, Google, Amazon and Microsoft are pushing voice-activated hardware and software assistants. Still, the products and technology are readily available for consumers. 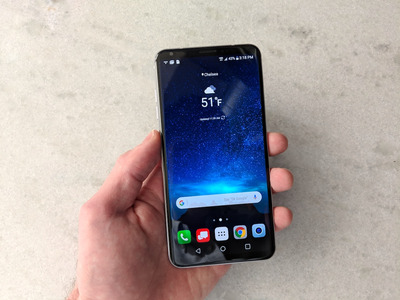 The LG V30 smartphone includes a voice-unlock feature called Voice Print, which lets users set a phrase that the phone can recognise and unlock on command. 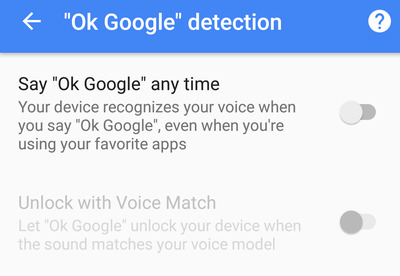 Voice recognition is also ingrained into the Android operating system, through its Smart Lock settings. 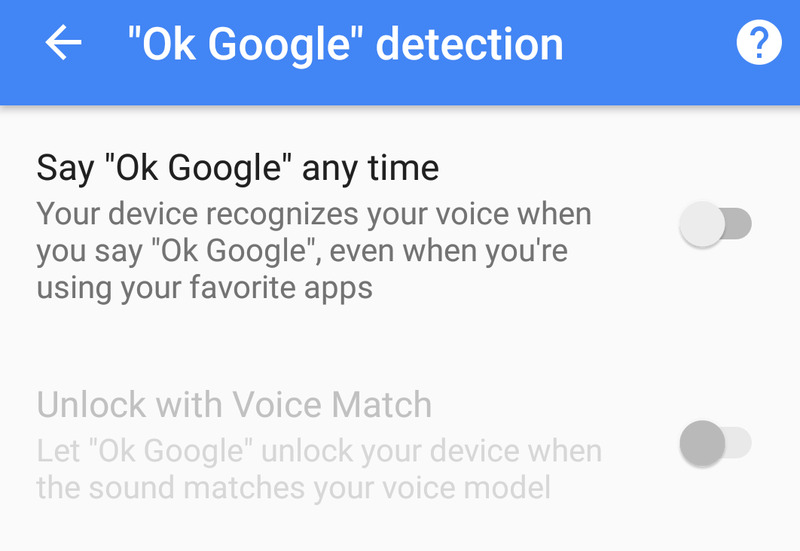 Users can register their voice for use with Google Assistant and then enable the “Unlock with Voice Match” setting on their Android smartphone. Fionna AgomuohVoice recognition isn’t set up on this Galaxy S8 handset, but it is available.